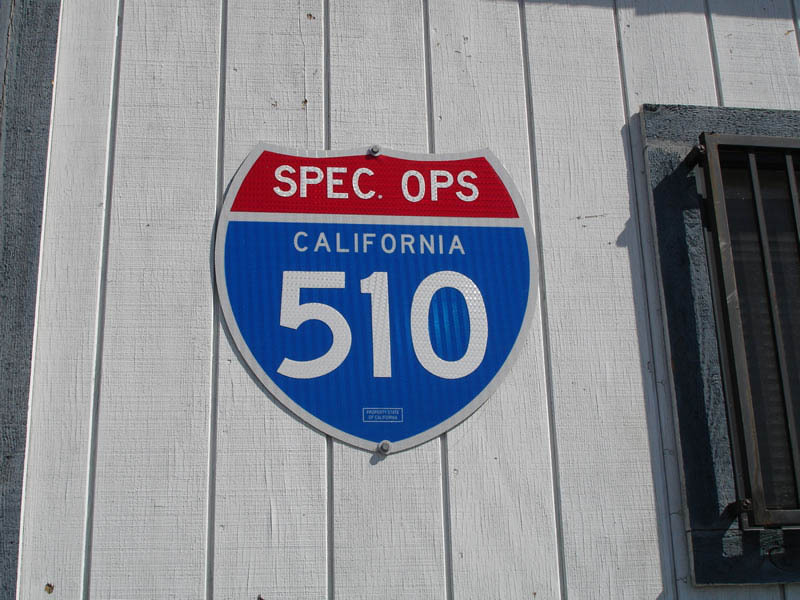 Sign on side of truck weigh station as seen from northbound Interstate 405 approaching Interstate 110/Harbor Freeway. For more on this, visit Special Operations Command Pacific (SOCPAC) - Joint Task Force 510. Photo by Mark Galbreath, 11/1/2006.